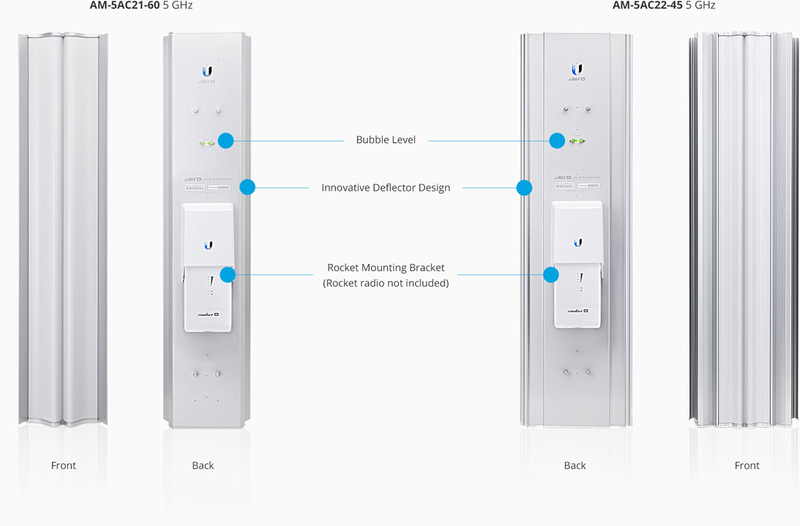 The AM-5AC22-45 airMAXac Sector 2x2 MIMO BaseStation 5 GHz 22 dBi Antenna also from Ubiquiti Networks is designed to provide network enhancements with regards to scalability, noise isolation, and beam performance. This versatile antenna can also be used with RocketM5 models as well. The airMAX ac Sector Antennas feature significant advances in scalability, noise isolation, and beam performance to complement the Rocket™5ac radios in Point-to-MultiPoint (PtMP) networks. They are compatible with RocketM5 models; however, optimal performance requires the Rocket5ac. The airMAX ac Sector Antennas feature carrier-class construction with an innovative deflector design and 2x2, dual-polarity performance for airMAX networks. Compare the diagram of the airMAX ac Sector Antenna, model AM-5AC22-45, to the diagram of a standard sector antenna, and note the superior noise immunity and beam performance of the AM-5AC22-45. 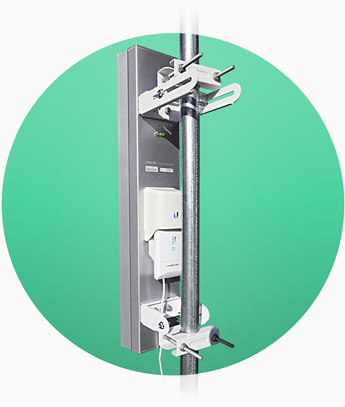 airMAX ac Antennas are designed with robust mechanical design for outdoor application use. Hpol Beamwidth (6dB): 45 deg. Vpol Beamwidth (6dB): 45 deg.